The Squats with Ball Against Wall (with burst resistant stability ball) exercise is part of the Strength Exercise program for the Exercise for Better Bones Beginner level. The squats with ball against wall benefits include stronger quadriceps and buttocks as well are strengthening the hip bones. If you’ve never done these and you’re not feeling really strong in your thighs, you want to start the wall ball squats with two sturdy chairs on either side of you. You need just a flat wall, the size of a doorway is plenty big. If you are going to do this on a door, you want the door to be opening this way, not away from you. You want to have a stability ball, ideally a ball for your size, but with this exercise the size of the stability ball doesn’t count, or doesn’t matter quite so much. The roundest part of the ball is going to sit in the roundest part of your low back. You’re going to place the ball up against the wall and rest the small of your back into the ball. At this point, I feel like the ball’s pushing me away from the wall. I’m going to step a half-a-foot length forward. Stepping a half-a-foot length forward allows me to rest into stability ball. The ball’s going to be taking some of my body weight. This is for individuals that are struggling with getting up and down from a chair with good form without the use of a ball, so the ball actually helps you to gain that control and that confidence. It’s nice to have either a stool or a chair right underneath you because, should you have a hard time coming back up, you know you could always rest there if need be. You take a nice breath in, and exhaling, keeping your tummy tight, you’re going to sit down towards the stool and then press back into the floor as you come back up. Take a breath in, lower tummy and pelvic floor gently tightens as you go down, exhaling until you come back up. You’re going to repeat the set, and press the floor away from you as you come back up. If you have a tendency of rounding your shoulders, which a lot of my clients do, you can use the ball in this exercise to your advantage. When you go down, you want to be thinking about squeezing the ball between your shoulder blades. That way, if you feel contact with the ball, you know you’re keeping good form in your upper body, and then press to come back up. One more time, breath in. Good. The objective isn’t actually to sit on the bench that’s underneath you, but just feel it underneath you, know that you’ve gone to that full squat distance, and then come back out of it. One more point, here in squats with ball against wall, is if you have any knee pain when you’re doing this, allow yourself to just go deep enough into the squat that you stay pain-free. Even if it’s just one or two inches to start, your body will thank you for not going into the pain, and gradually you’ll be able to go deeper and deeper into your squats. It is critical to your safety that you use a burst resistant stability (or exercise) ball for this exercise since you will leaning into the ball for support. Fortunately, I have prepared a blog article for you on how to Use a Burst Resistant Exercise Ball. If you are concerned about your bone health and osteoporosis, follow my guidelines on Safe Squat if You Have Osteoporosis. 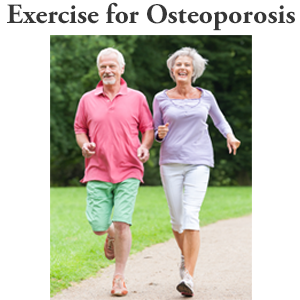 Visit my Osteoporosis Exercise Plan page for more information on this topic. Margaret Martin is a Physical Therapist with 35 years of clinical experience. 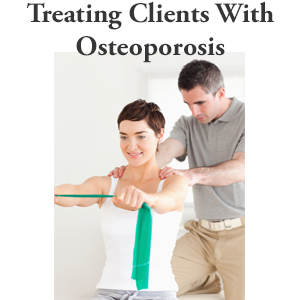 Her expertise is in the treatment and prevention of osteoporosis through exercise, safe movement and fall prevention. For the last 15 years, she has concentrated on bone health and has treated thousands of patients for their osteoporosis, osteopenia and low bone density. 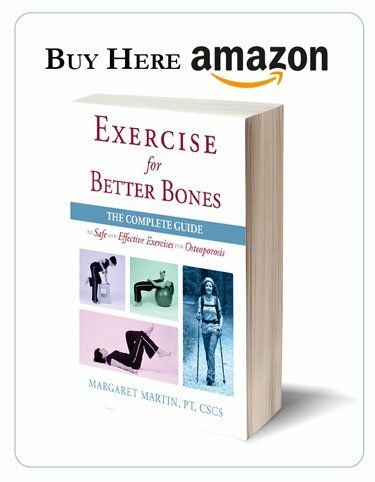 Margaret is the author of three books on osteoporosis and exercise. All books are available on Amazon in both print and Kindle formats. 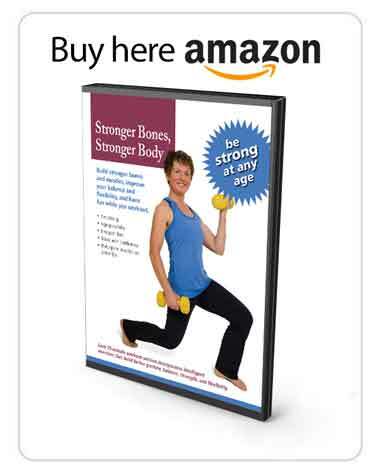 Recently she produced an exercise workout video DVD on safe exercise for people with osteoporosis. She is the creator of the continuing education course, Working with Osteoporosis and Osteopenia. This course is accredited by all Physical Therapy Licensing boards across the United States. Thousands of Physical Therapists in the United States, Canada and around the world have completed her training course. Margaret graduated from the School of Physical and Occupational Therapy at McGill University in Montreal, Canada in 1984. She is licensed to practice Physical Therapy in Ontario and California. Margaret's work in osteoporosis and Physical Therapy has been cited in a number of Physical Therapy textbooks. She has been interviewed as an expert in osteoporosis prevention and treatment by the Toronto Star, CTV Ottawa Morning Live, the Senior Rehab Project podcast, and Dr. Rebecca Risk's podcast, Falling Through the Cracks. She is the proud recipient of the 2011 Award of Distinction from the College of Physiotherapists of Ontario for her significant contributions and achievements as a Physiotherapist. Margaret operates her Physical Therapy clinic, MelioGuide Physical Therapy, in Ottawa, Ontario. I am 79 years of age and would like a DVD of your exercises that would last for 30 minutes. I find it easier to exercise while watching someone take me through the exercises on DVD. I am presently watching “Moving with Mike” DVD with exercises for elderly people. I can only do the first DVD, as the other two are too difficult. I will keep doing his exercises unless you have one especially for women with osteoporosis. Thank you.